Four crashes on Sunday afternoon led to traffic chaos and fatal consequences. 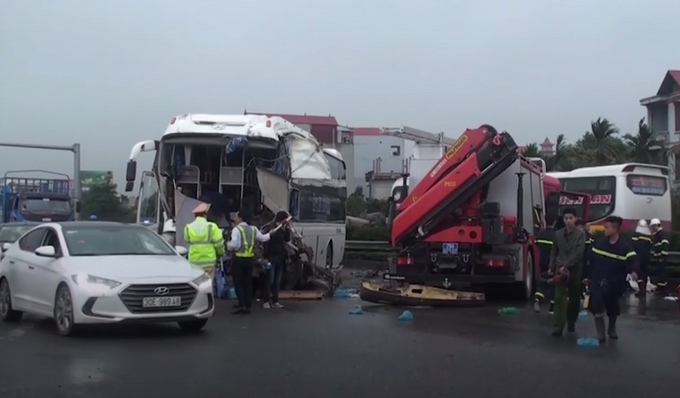 Three people died in a series of traffic accidents along a Hanoi expressway on Sunday, leaving traffic backed up for around eight hours. The first fatal incident occurred when a bus collided with a truck on the Phap Van-Cau Gie Expressway at around 4 p.m., killing two passengers. Shortly after, four cars were caught up in a pile up while a truck slammed into the central divider. At around 4:30 p.m., another passenger bus collided head-on with a fire truck, killing one officer. The crashes caused severe congestion along the entire expressway. Media reports said at least five passengers and five firefighters were also injured in the crashes, which occurred when people were making their way back to the city after the weekend. Vu Van Hao said he reached the scene of one accident at around 5 p.m., but couldn't get past until 11 p.m.
“I was so hungry and thirsty. I have never seen congestion that bad,” Hao told VTCNews. The Phap Van-Cau Gie Expressway runs more than 32 kilometers (20 miles) to the south of Hanoi and links up with another expressway to the nearby Ninh Binh Province. 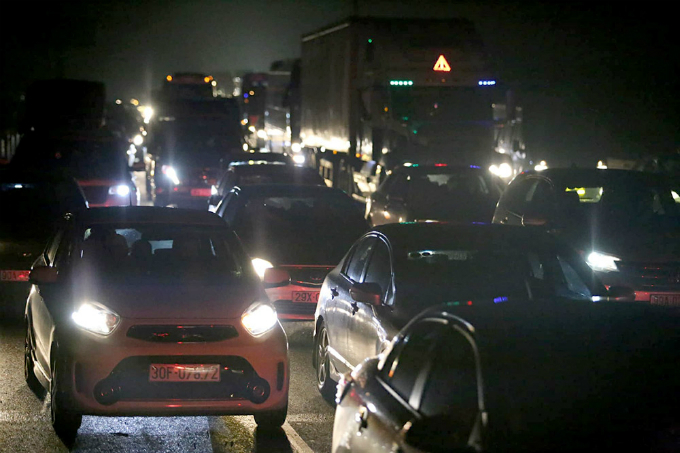 Road crashes are the main cause of unnatural deaths in Vietnam, killing an average of one person every hour last year, according to official figures.